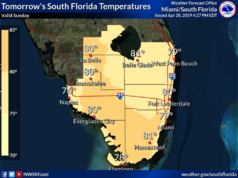 It’s a tale of South Florida’s two coasts on Sunday, with good sun on one side of the peninsula and clouds and showers on the other. Sunday features plenty of sun and some clouds at times along the Gulf coast. But look for clouds and passing showers on the breeze in the east coast metro area. A high risk of dangerous rip currents is in place at the Atlantic beaches on Sunday through Monday. 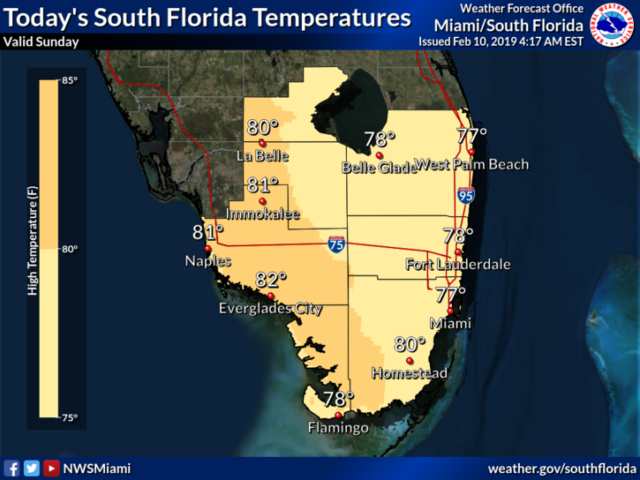 Highs on Sunday will be in the low 80s along the Gulf coast and mostly in the upper 70s in the east coast metro area. 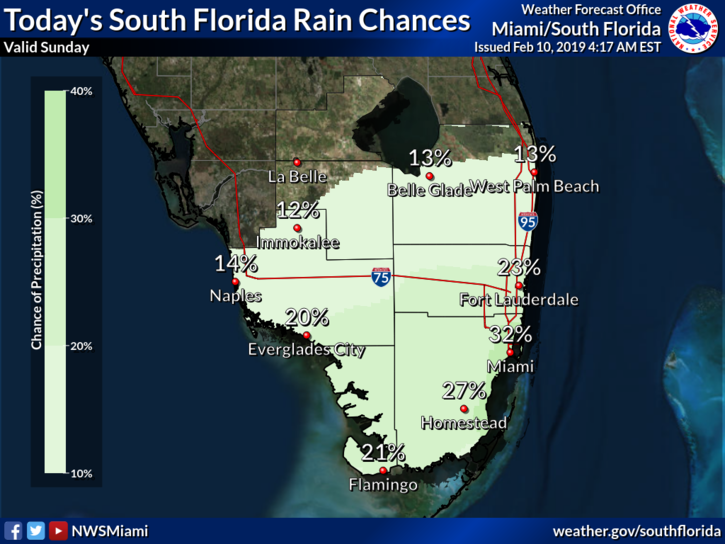 Monday will bring good sun, a few clouds, and showers in spots along the Gulf coast, while Miami-Dade and Broward will see mostly cloudy skies and periods of showers. 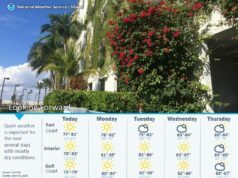 Monday’s highs will be in the low 80s. 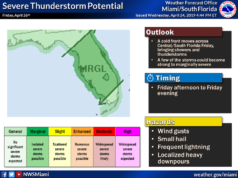 Cloudy conditions and passing showers are back in the east coast metro area on Tuesday, while the Gulf coast will see periods of sun and developing showers as a front approaches. Tuesday’s highs will be in the low 80s. 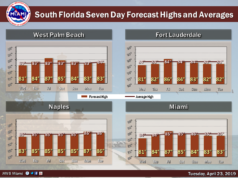 The front stalls out on Wednesday, and all of South Florida can expect cloudy skies and periods of showers. Wednesday’s highs will be in the mid to upper 70s. Clouds will linger on Thursday, but the showers will start to taper off. 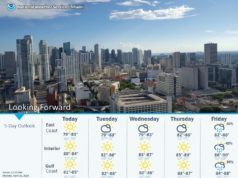 Highs on Thursday will be in the upper 70s.